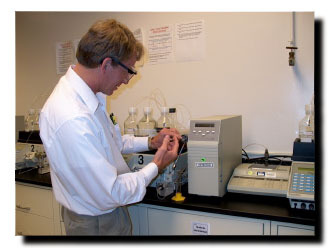 In the early 90's the U.S. department of education funded a national project sponsored by the American Chemical Society (ACS) to identify job skills and competencies for the chemical technician as identified by the employer or supervisor. In the middle 90's the ACS transformed these competencies into the 'Gap Analysis' which was the cornerstone of the ACS 'Chemical Technician Program Approval Process' or fondly called CTPAS. The CTPAS process was intended to certify Chemical Technician Training programs through out the country. 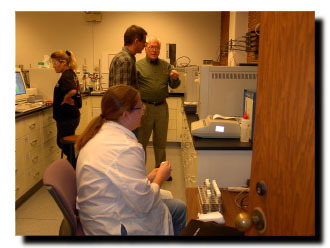 The St. Louis Community College Chemical Technology at Florissant Valley participated in the CTPAS process in 1995 and was the second program in the country to successfully complete the process and be approved. The ACS 'Gap Analysis' lacked pertinent local information that pertaines to our program. It was based on a national industrial norm and did not reflect local priorities. 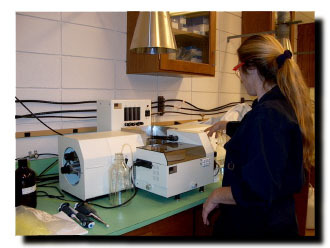 In addition the survey instrument was filled out by the laboratory supervisor and thus represented what was the management¹s perception of the role of the chemical technician and not that of the technician himself. It was statistically short sighted in that it required only 5 'Gap Analysis' to be entered into the data pool. Finally, it was written with a definite bias towards its funding source, the US Department of Education.This local Gap Analysis was to focus on the local chemical technician, particularly the Florissant Valley Chemical Technology graduate who had remained in the St. Louis region and was employed in the local chemical industry. It was to identify those areas where our program and its training objectives support or diverge from those skills required by the realities of the local workplace, as our former students perceive it. Question (1). First and foremost how are our graduates doing as far as being trained in the necessary skills and competencies to be successful in the local industry? Question (2). Secondly, are our graduates doing a substantial amount of chemical process type work? In other words, are they being used in the chemical plants as chemical operators rather than as chemical laboratory technicians? Question (3). Finally, has the 'biotechnology' evolution had a major impact on our students' careers and most importantly their work place skills and competencies?